It was presented at RM/Sotheby’s Amelia Island sale in racing livery, with Dunlop centerlock alloy wheels, Dunlop Racing tires, dual wraparound Plexiglas windscreens, 4-point belts, RetroTrip rally odometer, SINN stopwatch and clock, three Salter digital timers, and a driver’s head fairing. 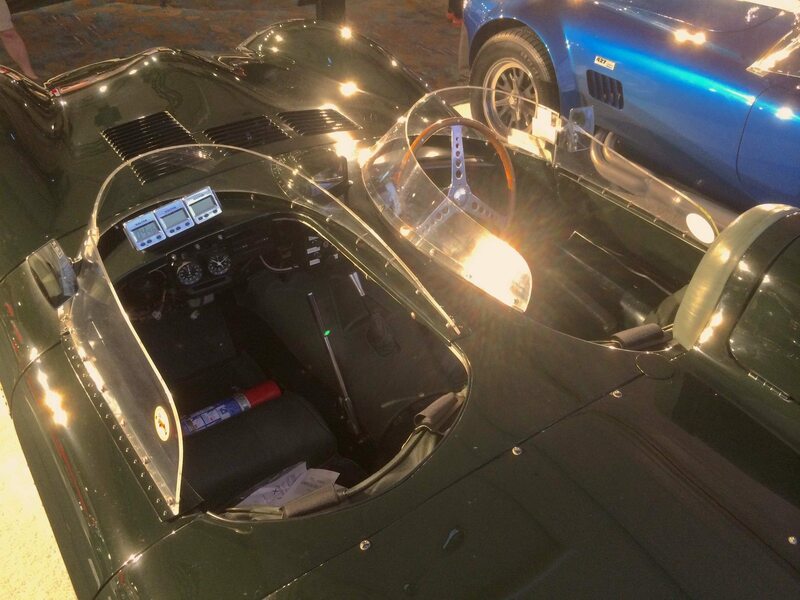 It was in great useful condition at Amelia, with Gary Bartlett and Terry Larson both involved. 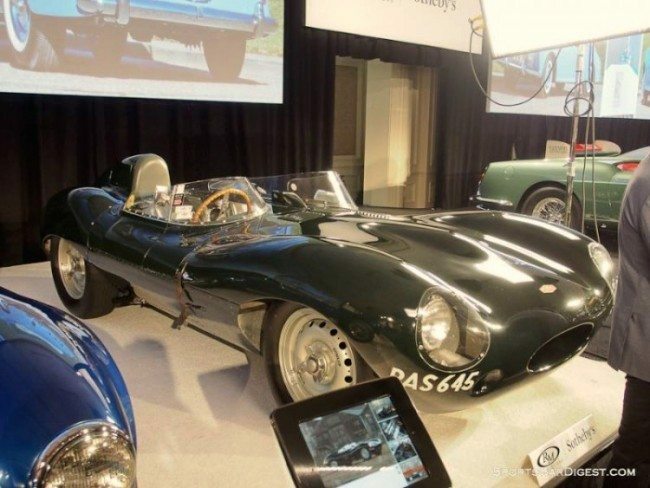 Sold by Christie’s in London in June 2002 for $517,979 while there were still two claimants to the chassis number, then sold after rectification by RM at Monterey in 2013 for $3,905,000. 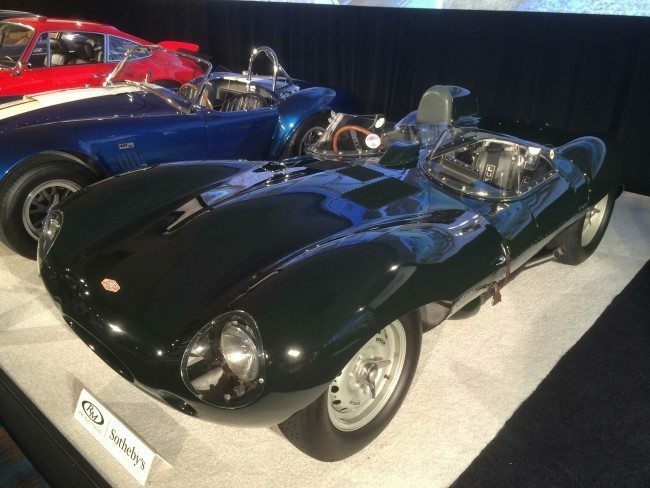 It left the 2015 RM Sotheby’s Amelia auction block unsold but closed during the sale at $3,340,909 plus commission of 10.00%; Final Price $3,675,000 – surely an excellent deal on a D-type that is eligible for, and has participated in, many desirable events including four runs in the Mille Miglia Storica. If you have an early model Jaguar or another collectible you’d like to insure with us, let us show you how we are more than just another collector vehicle insurance company. We want to protect your passion! Click below for an online quote, or give us a call at 800.678.5173.